The Fashion Guide Blog : 10 Trends for fall-winter 2013 - 2014. Catwalks all over the world set the trends what to wear next season and I've among selected 10 of the most interesting. Take look! 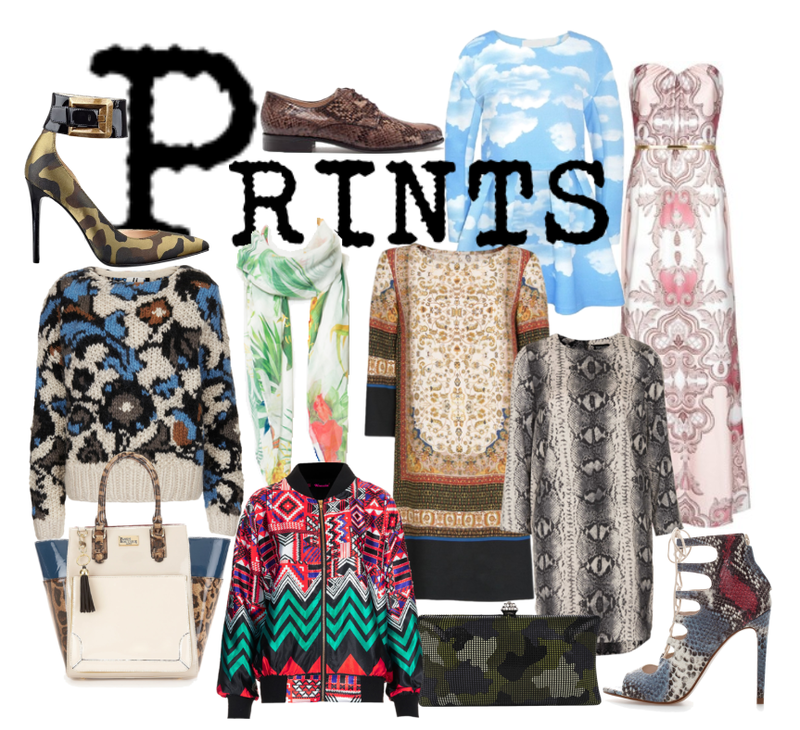 Prints are always in fashion. We had them during the spring and summer season and now they're back. Flowers, camouflage, animal prints. Which is your favourite? The punk trend is huge and designers like Versace, Saint Lauren, Givenchy and even Alexander McQueen have used it. I recommend you pick out some pieces that have that punk vibe instead of wearing all black, with chains and a Mohican on your head. Always be subtle - that's the key to elegance. Sportswear also had a big spot during the fashion weeks. Women want to feel comfortable with their clothes but also feel chic and trendy. You might want to take care while wearing this trend and avoid the total look unless you are on your way to the gym. Pair a slack black trouser with a sweat t-shirt and wear a pair of black heels. You'll look amazing. 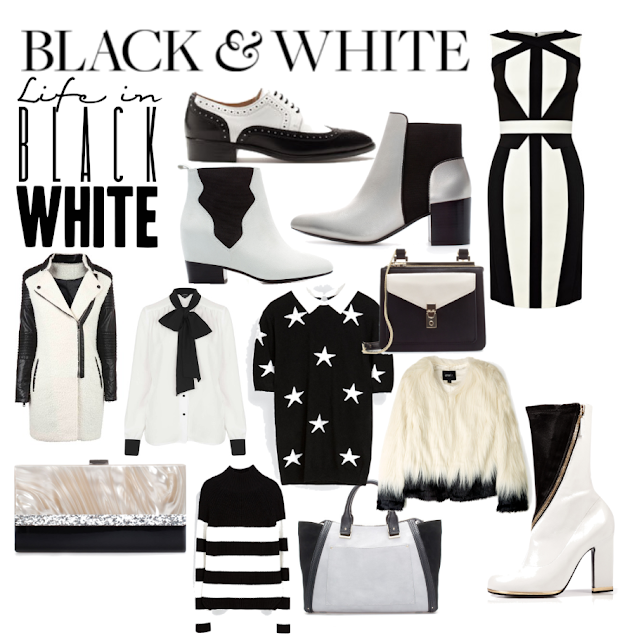 Black and white is the eternal pairing. Always in fashion and always trendy. You will never go wrong wearing this duo. Just one piece of advise - bear in mind your body type in order to look at your best! Boots are the perfect shoe to wear in winter and on cold days. This season designers set their minds on making women's legs look longer. Over-the-knee boots are here to stay all the way up to spring. Wear them with mini-skirts, jeans or leggings. One concern - make sure you don't look like you're on the game! 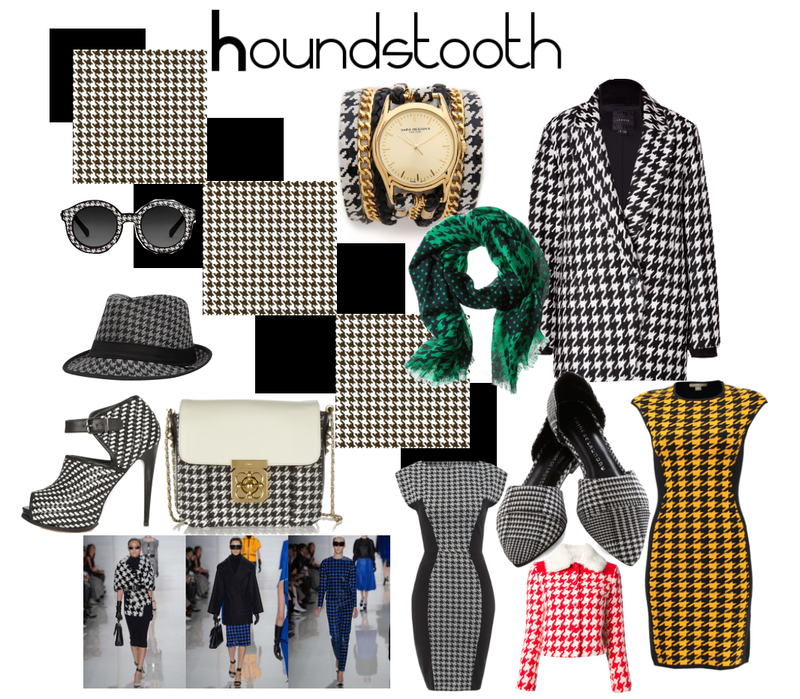 When I think about the houndstooth pattern, a blazer my mum used to have back in the 80s always comes to mind. If she wore it now, she would be really trendy. The traditional black & white houndstooth has given way to other colours such as yellow, red, green and the fantastic blue. 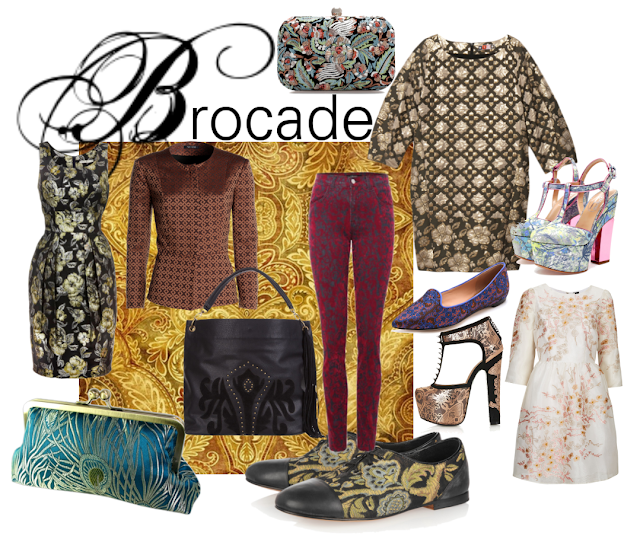 Luxury always comes with brocade textures and patterns of either golden or rich turquoise fabrics. They will make you feel special and valuable! Opt for key pieces such a jacket, heels or a clutch. When wearing a brocade dress, try to be minimal with the accessories. To avoid getting a cold and to make the long and cold winter days cozier, designers have brought us capes. Capes are so versatile because if you are wearing the right clothes, they will make you look chic and elegant without any effort. Avoid ugly capes with nasty patterns and opt for something trendy like a tartan pattern or just get a basic colour like black, grey or brown. 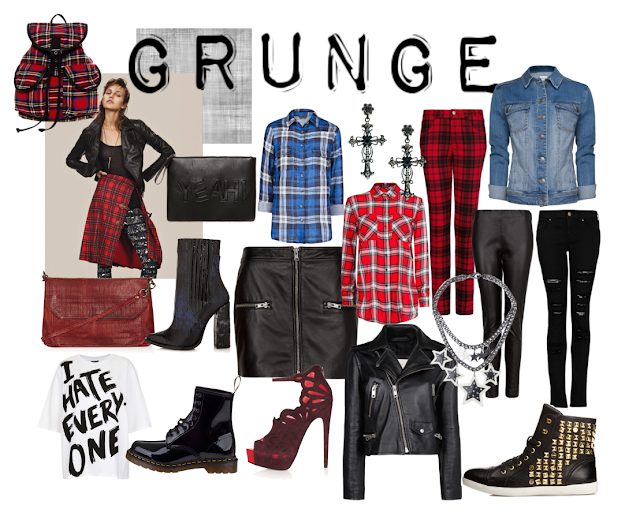 The grunge trend is one of the biggest trends this season. Thanks to the 90s band Nirvana, we are having a flashback of this period and reliving it. Tartan, black leather biker jackets, denim, etc. are the key for this trend. Of course we cannot forget the attitude! If you want to know more about this trend and how to achieve a great look, have a look at this post. And here, the queen of all the winter trends is back yet again! Fur is always trendy. It make us feel cozy, chic, and protected from the cold outside! Wear it but wear it carefully. Don't over do it unless you are in the coldest place in the world. I already took note of these trends and I expecially love soft punk mood with its studs, leather and lace all mixed together, animal prints (leopard ones are my favourite ever) and the return of the grunge style. Thanks so much for you comment Sara! All the best!